This home is the perfect destination for your next North Shore vacation. There are not many townhomes across the country where world-class fishing, skiing, hiking and amazing restaurants are all located within 20 minutes. Well, Aspenwood 6546 is one such place. includes a gas fireplace and flat screen TV. Furthermore, the sofa in family room converts into a queen size bed. Indeed, there are many opportunities to venture outdoors in the vast playground that is the North Shore of Lake Superior. The Superior Hiking Trail, Lutsen Mountains downhill skiing and snowboarding, Superior National Golf Course, snowmobiling, cross country skiing, epic fishing spots and more are all nearby. 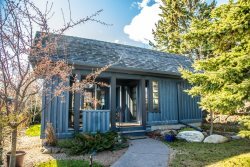 Aspenwood 6546 is also situated near Lutsen and Tofte, with both charming communities both having great dining and shopping opportunities. House was exactly as the photos on website. Very clean and organized. Location was beautiful, right on lake superior. The stay was great. The home was delightful. The view was amazing. Our Aspenwood unit (6546) was very nice! There was a great views of Lake Superior on all three levels. The staff is very professional, friendly and helpful. I highly recommend Cascade Vacation Rentals to anyone wanting a nice place to stay in the North Shore area. We have stayed at several of their properties over the years and will keep coming back. - RB - Savage, MN. Great place for a family of four. The thermostat situation was a bit confusing. The home was very clean and well kept. It had a very relaxed and and calming feel, which was great after an active day at Lutsen.